The Woodside & South Croydon Railway was authorised in 1880 to build a 2 mile 28 chain link from the South Eastern Railway's Mid Kent line at Woodside to a junction with the Croydon & Oxted Joint (LBSCR & SER) line which opened on the 10th March 1884. 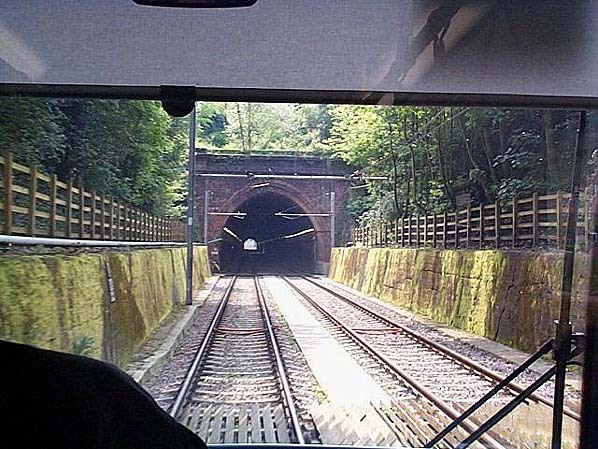 The Woodside & South Croydon Railway opened on 19th August 1885 and its main engineering feature was three contiguous tunnels under the Addington Hills, Woodside (266 yards), Park Hill (122 yards) and Coombe Lane (157 yards). Although the first and last of these tunnels were only a short distance apart, a change in the nature of the soil made it necessary to construct the central section of what might otherwise have been one tunnel by cut and cover and this tunnel formed what was to become a romantic timbered dell with the roof supporting a miniature rifle range which opened before 1914. 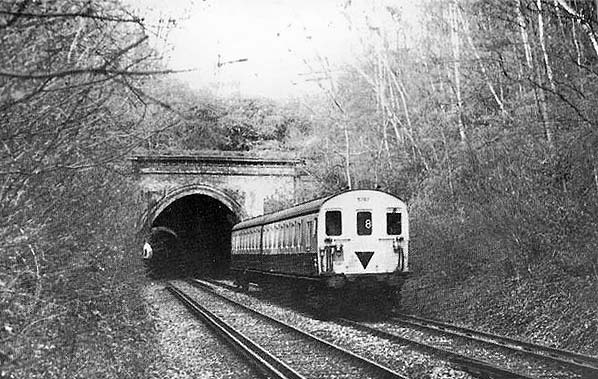 The Woodside – Selsdon line closed from 16th May 1983 and the track through the three tunnels was lifted by the end of that year. In 1986 a study of Greater London transport was undertaken by London Transport and British Rail, one of its proposals was the reintroduction of trams in the Croydon area to ease traffic congestion and to provide a service into New Addington which was poorly served by pubic transport. In November 1991 the Croydon Tramlink Bill was submitted to Parliament and received Royal Assent on 21 July 1994, allowing London Regional Transport to authorise the construction of Tramlink. Three routes were to be built, Croydon - Beckenham Junction, Croydon - new Addington and Wimbledon - Elmers End. As the lines from New Addington, Beckenham and Elmers End converged on Croydon they would utilise almost the entire length of the former Elmers End to Selsdon railway line with the three lines joining at a new junction at Sandilands from where they would run into central Croydon. The first Tramlink route to New Addington opened on 10th June 2000 with the line to Beckenham through Addiscombe following on 23rd May. 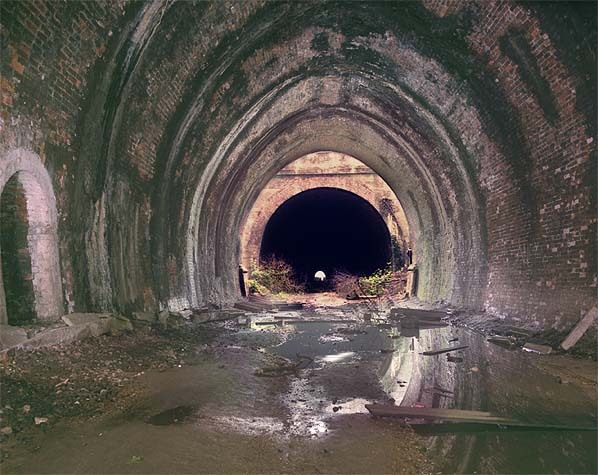 The New Addington route utilises the three tunnels which are now collectively known as the Sandilands Tunnel.